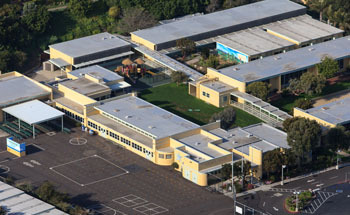 Located in the heart of the Sand Section, Grand View Elementary has been rated a California Distinguished school, and parents swear it has some of the best teachers in the country. In fact, parents give it five stars on greatschools.org, and rave about its top-rate curriculum, commitment to sustainability, and its teachers' active involvement in the lives of their children. 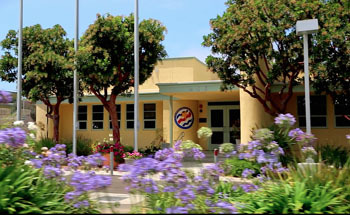 Located on 24th St. off Grand View Ave., Grand View Elementary is technically in the Sand Section of Manhattan Beach, but students from other neighborhoods might also attend. The school provides parents with a map of suggested biking and walking routes to encourage them to get exercise, and it also offers what's called the Walking School Bus, which involves volunteer chaperones walking students to and from school. Grand View offers two kindergarten classes (one in the morning and one in the evening) and classes up to fifth grade. Apart from its varied curricula, it offers other unique programs to encourage students to interact, be creative, and express themselves. The Ambassador Playground Program, for instance, pairs older students with younger students at recess, and Reflections is a nationwide program encourages students to showcase their artwork. These are just two of the many options available to students who are interesting in getting more involved. Grand View was voted one of the greenest schools in the country by the U.S. Department of Education last year, in recognition of its unique, comprehensive approach to healthy living. All students maintain on-campus gardens, and eat and sell whatever they harvest. They also participate in monthly tastings of fresh fruits and vegetables grown by local farmers, and learn about proper nutrition in class. The school encourages “trash-free lunches,” and last year earned publicity for its trash-free challenge. Grand View Elementary parents are known to be actively involved in their children’s lives, and its PTA is continuously fundraising to better the quality of education it can offer. The PTA works closely with the Manhattan Beach Educational Foundation, a non-profit organization that raises about $4 million annually for Manhattan Beach schools. If you’re in the Sand Section, the Tree Section or North Manhattan and your kids attend Grand View Elementary, you can rest assured all your child’s educational needs will be met. For official information, visit the Grand View Elementary official website or the Manhattan Beach Unified School District.